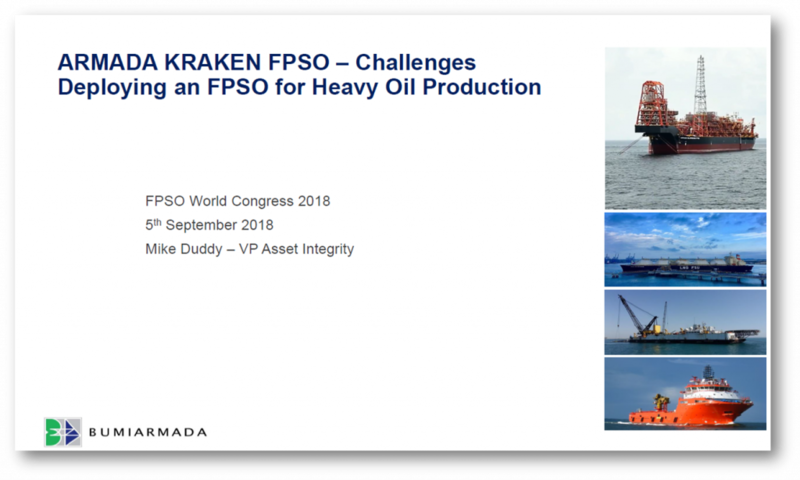 The Armada Kraken FPSO, which is currently operating in the Kraken field in the UK North Sea, completed the offloading of its first cargo on 12 September 2017. This is Bumi Armada’s first foray into heavy oil production and has the largest liquid-handling capacity in its fleet at 460,000 barrels of liquid per day. In this session, vessel owner Bumi Armada will share the challenges it faced constructing the vessel, how it overcame tight deadlines and also key lessons learnt in project execution, maintenance and operations.